Thousands of people visited the Kentucky Proud Incredible Food Show on Oct. 24. See scenes from the show on the Kentucky Department of Agriculture's Facebook page. Guests at the Oct. 19 unveiling of the first Kentucky-made Lexus ES 350 were treated to a Kentucky Proud feast during the event at the Toyota Motor Manufacturing Kentucky plant in Georgetown. The University of Kentucky College of Agriculture, Food and Environment recently took the plunge into wholesale sales and GAP certification, and Kentucky growers could start swimming in the wholesale market on their own. The Kentucky Spay/Neuter Fund provides support for community spay/neuter programs throughout the Commonwealth. USDA will prioritize $5.6 billion over the next two years within USDA programs and services that serve new and beginning farmers and ranchers. This year, hesitancy seems to stem from uncertainty about sale prices for feeders in the spring given the recent market drop. Louie Rivers Jr., small farmer outreach training and technical assistance program project manager at Kentucky State University, received the Thomas Poe Cooper Distinguished Farm Leadership Award. Normally when wheat producers plant their crop in the fall, they don’t need much nitrogen, but that’s not the case this year, said Chad Lee, grain crops specialist with the University of Kentucky College of Agriculture. Preliminary data indicates strong farm to school programs can increase the number of students purchasing school breakfast and lunch, improve consumption of healthier foods at school, and reduce plate waste. The survey, taken in September, denoted the average total cost of 40 basic grocery items was $121.64, a decline of 3.5 percent or $4.47 compared with the second quarter results. The grants include 42 projects in Kentucky awarded a total of $1,843,110. 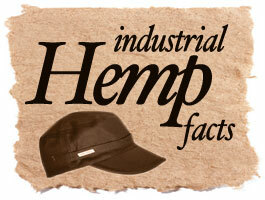 Almost all of the nation's hemp was produced in the Bluegrass region of Kentucky during much of the post-Civil War era.